“So that by two unchangeable things, in which it is impossible for God to lie, we who have fled for refuge might have strong encouragement to hold fast to the hope set before us” (Heb. 6:18). Solely by His grace and mercy, God promised Abraham that He would bless and multiply his descendants. Though this should have been sufficient for Abraham, God knew doubts would enter his mind. And so He also swore an oath to Abraham and his heirs in order to confirm His promise (Heb. 6:17). This oath was made out of the sovereign and loving will of God. It is important to note that God swore His promise not only to Abraham but also to his heirs. God knew that future generations of His people would be tempted to give up on Him because of the persecution they faced or because of the delay of God’s fulfilling His promise. He knew they would need encouragement to persevere in the midst of such trials and tribulations. This was especially true of the original audience of Hebrews, and it remains true for us two thousand years later as we journey in faith through an unbelieving world. God, in His great love, provides this encouragement through two unchangeable things: the word of His promise and the oath which confirms that promise (v. 18). Unlike us, God is always truthful. He never lies or breaks His oaths. He always fulfills His promises. His unchangeable word alone should be enough comfort for us. But He adds to it His unchangeable oath so that “we who have fled for refuge” might have all the more incentive to cling to our hope. John Owen tells us that encouragement means to be comforted and consoled. “This consolation comes from the assurance of faith and our help from God’s promises. This is what relieves our souls of all fears, doubts, and troubles. It either prevents them or is stronger than them. For comfort is the relief for the mind against sorrow and trouble.” The immutability of God’s words and oaths relieves us of fears and troubles. It comforts our sorrow and thereby gives us encouragement and incentive to maintain our faith. These two unchangeable things encourage those of us who have fled for refuge to hold fast the hope set before us. The hope set before us is our final and complete salvation, that is, the renewal of our bodies and all creation. We have fled for refuge unto Christ, the Guarantor of the better and heavenly city that will descend to earth at the consummation (Rev. 21). In this world of decay and death, it can be hard to believe that Christ is going to make all things new. But we can be confident of this renewal because God has given us two unchangeable confirmations of it: His promise and His oath. Remember that God’s faithfulness guarantees that we who have fled for refuge to Christ will be saved. 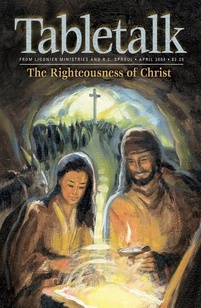 First published in Tabletalk Magazine, an outreach of Ligonier. For permissions, view our Copyright Policy.